Bravida Danmark A/S acquires the Sealand-based electrical installation company H. Helbo Hansen, one of the leading electrical companies in eastern Denmark. H. Helbo Hansen has 75 employees and had a turnover of approximately DKK 80 million in 2018. 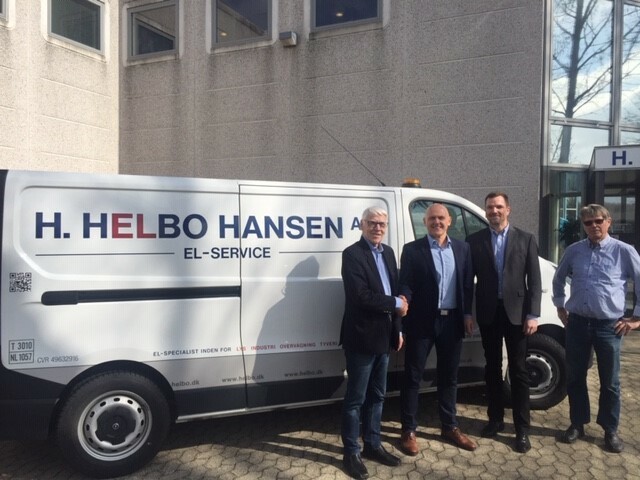 H. Helbo Hansen was founded in Taastrup in 1918 and is a leading player in electrical installation and services in eastern Denmark. The company is headquartered in Hedehusene and has operations in Copenhagen and the surrounding area, as well as in several locations on the Danish island of Sealand. “With the acquisition of H. Helbo Hansen, Bravida will strengthen its position on the attractive Sealand market. I'm glad we now have the agreement in place. H. Helbo Hansen is a well-established business with strong expertise in electrical installations and service, and will fit well within Bravida”, said Carsten Bo Knudsen, Regional Director of Bravida Denmark's Region East. Bravida Danmark will take over as owner of H. Helbo Hansen on March 29, 2019. All employees will continue in their current roles with Roland Smits as branch manager. The company will be integrated into Bravida later in 2019. This means that the company initially continues on unchanged terms under the current name.